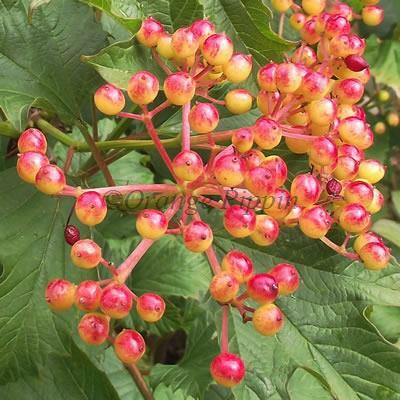 Viburnum opulus 'Compactum', also known as the 'Guelder Rose' is an non-evergreen shrub with maple-like, deeply veined green leaves and showy, flat clusters of white flowers during May and June. These are followed by heavy bunches of luscious red berries in the autumn which the birds will love. This attractive shrub which requires little or no maintenance would make a lovely hedge, screen or planted in a prominent position within the mixed border for wildlife to enjoy.